What We Have to Offer, and How it Works! 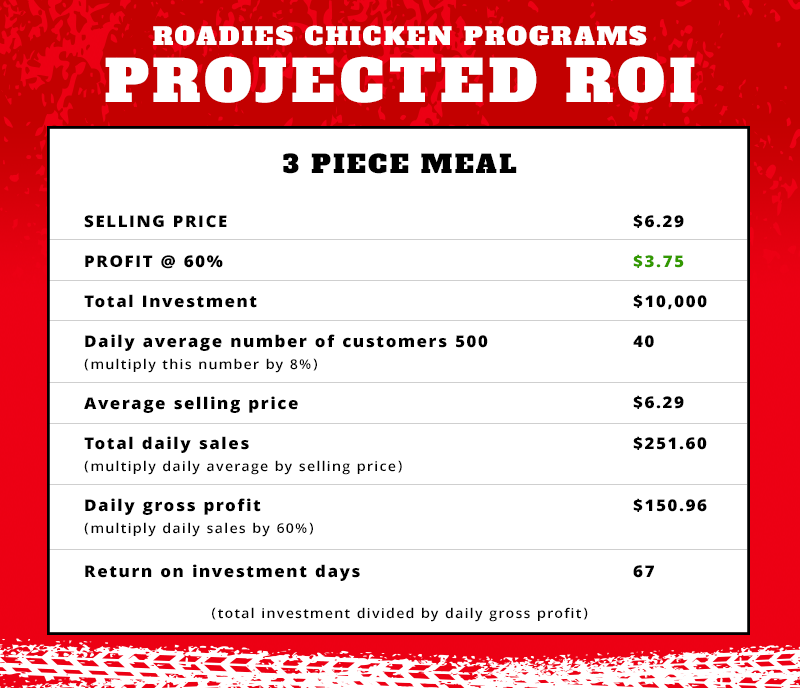 How would you like to have a retail chicken program without the negatives of a franchise? 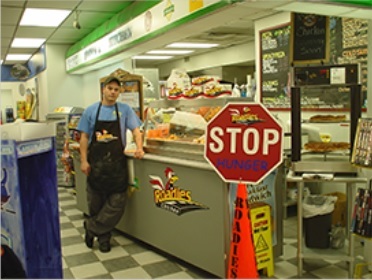 Roadies Chicken is a proven system, with years of growth and experience. We offer a customizable system which focuses on your individual needs. We’ll partner with you and help you with the support you need to be successful in offering Fried Chicken to your customers! 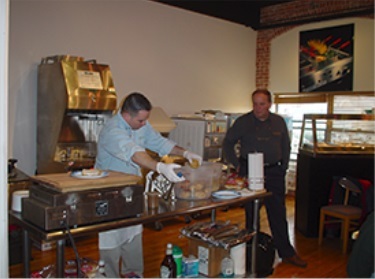 A complete branded food service program. A reasonable alternative to franchising. No franchise fees, no royalties, no contracts. Comprehensive on-site training and In Store follow up. A program that will follow you to new locations or transfer to new ownership, without any fees. Our trainer, training in your store. With your staff. To identify any issues and adapt our program to your location. Customizable quarterly promotions that allow you to set the offering and price points. We offer In Store staff re-trainings and store visits to help promote retailer best practices. Our team is available for In-Store consultations to help determine pricing, profit and ROI improvements. Branded serving packaging, customizable signage options that adapt to your location, Menu Boards, digital and traditional. All this with NO FRANCHISE FEES, or Restrictive Contracts! 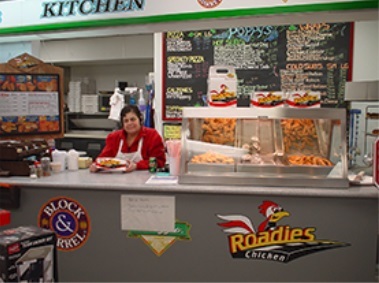 Roadies Chicken has locations throughout New England and adding locations every month.